In partnership with my wife, I farm about 300 acres of lowland grass on heavy land near Gretna Green. We keep around 50 Highland, Beef Shorthorn and Simmental cross cows, from which we produce 18 month old calves for the store and breeding markets and about 200 pedigree Lleyn ewes, from which we produce breeding and fat lambs. The enterprises and our business model are significantly underpinned by the revenue from 4 on-farm self-catering cottages. We also have a small pedigree Highland pony stud. A former professional land manager, I started my working life as a farm labourer in Wiltshire and scrambled onto the bottom rung as a part-time farmer about 30 years ago. 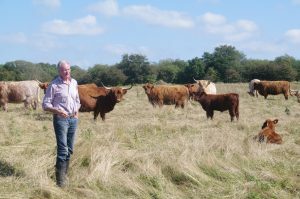 With a life-long love of nature, I relished the chance to demonstrate how nature and food production can go hand-in-hand when we scraped together enough money to buy Williamwood, with a mortgage, not quite 10 years ago. We bought it because of its varied and mature habitats and its potential, with a lot of “tender loving care”, to showcase both. Why do you support nature friendly farming? If nature-friendly farming were to become the norm, instead of the exception, we would have a countryside bursting with bio-diversity, at the same time as being in full production and we would leave a legacy which our successors deserve and for which they would thank us. Time is not on our side but better late than never. What nature friendly farming approaches have you implemented and what impact has this had? The results from our efforts with hedge planting, pond creation, nest boxes, predator control and habitat management which respects breeding birds and wildflowers are exciting but probably little more than a taste of the full potential. 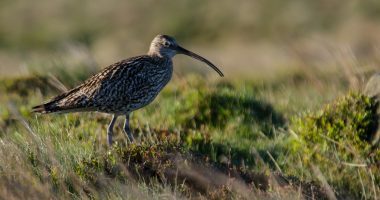 Tree sparrows, otters, red squirrels, lapwings, curlews, snipe, woodpeckers and brown hares are just a few of the species that are flourishing because of our measures. What role do you see farmers playing in protecting nature? I believe that farmers have a huge responsibility to nurture the countryside and its flora and fauna for future generations from all walks of life, not just our immediate families. We are uniquely placed to discharge that burden of trust but it requires sustained effort, expertise and expense which not all farmers are in a position to provide, especially in difficult economic and weather-related conditions. Why does nature friendly farming need government support? In the absence of market support, greater support from the Government is essential if more farmers are to “step up to the plate”. Individual, isolated farmers, however enlightened and motivated they might be, can only do so much on their individual farms. Support which facilitates linkages between farms and begins to “join up the dots” across the country could spread the benefits of nature-friendly farming like wildfire and be a compelling example of the whole being greater than the sum of the parts. 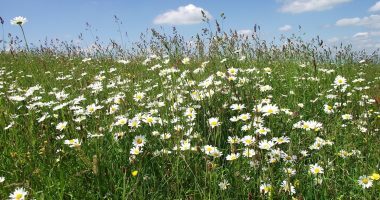 Why is Brexit an important opportunity for nature friendly farming? 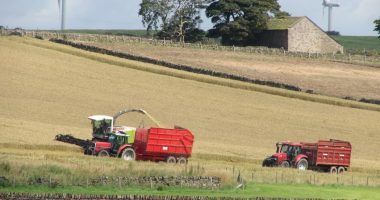 Brexit provides a seminal opportunity to kick-start that process and to foster a cultural revolution in the farming community in which nature-friendly farming is embraced with as much enthusiasm as livestock showing, big machinery and food production, rather than remaining as the poor relation and “Cinderella” of the industry. 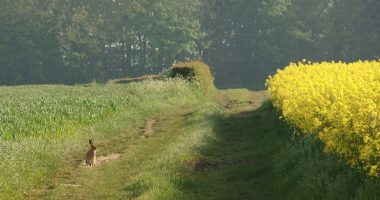 Failure to seize that opportunity would see nature-friendly farming further relegated to a fringe activity carried out against the odds, by the few, with diminishing localised impact. What’s the biggest threat to British farmers post Brexit? In the interests of those who come after us, this is a fight we cannot afford to lose. We need to turn the tide and we need Government help to do that. It is not clever to be-little or snigger at nature-friendly farming as a minority sport for well-meaning eccentrics. For example, if we did not provide the right environment for tree sparrows, their numbers would continue to decline to perilous levels. Positive management measures which deliver public benefits require financial support and encouragement. What’s the value of bringing farmers together in the NFFN? Nature-friendly farming is a way of life at Williamwood, born out of personal conviction that it is the responsible way to farm and reinforced by the economic imperative of our sustainable business model. The vision is of a profitable farm, bursting with a bio-diversity which is attractive to visitors and wildlife alike. We need people to come to our cottages to fuel the economic engine which enables us to steward our bit of the British countryside to the best of our ability, with support from the Government, the RSPB, the Woodland Trust, the Red Squirrel Survival Trust and many other bodies and individuals who inspire and support our work here. We love to show our paying and non-paying visitors how their food can be produced to high welfare standards, using modern methods, in a countryside which harks back at least a generation, if not more. It is “work in progress” and there is much still to do but every day we do a little more, against a grand plan, to further the interests of nature-friendly farming. Bring on the NFFN and let’s make sure this movement becomes central to policy and our future.